Elks National Foundation :: Listen Up! ENF scholarships help Elks scholars expand their knowledge and enrich their college experience. Hear how these Elks scholars are using their ENF scholarships to expand their musical talents! You can find many interesting things when cleaning out your closet. Upon discovering his mother’s old flute in the back of the closet, Francesco found his calling. “There’s something about playing the flute that simply makes me happy every time I pick it up,” says Francesco. Since finding that flute in the back of the closet, Francesco’s musical career took off. He has been a member of the Boise Philharmonic Orchestra, played Principal Flute as part of the 2011 New York String Orchestra Seminar, and published a flute ensemble composition. 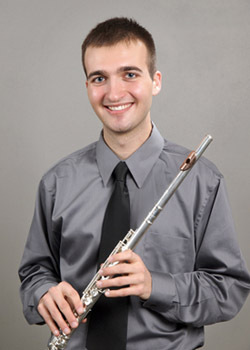 Now a graduating senior from The Colburn School Conservatory, Francesco is looking forward to his future and hopes to make a career out of playing the flute. Though Francesco has come so far, he remembers the ENF scholarship that helped him get to where he is today. Francesco has been awarded a Fulbright grant to study the flute in Berlin next year. We are excited to hear how this experience will enrich his career! Click here to listen to solo performances by Francesco. Curtis is a self-described band geek who once performed 23 separate entries on several different instruments for a music contest. Primarily playing the saxophone and baritone, his love of music is matched only by his passion for computer science. At Iowa State University, Curtis found his perfect course of study—Music Technology. 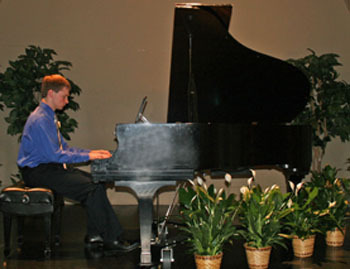 As he is finishing up his junior year, Curtis spends much of his time working on his honor’s project—the application of scripting techniques for music composition and performance. Joseph’s mom used to have to bribe him with bike rides to go to his piano lessons, but today you couldn’t pay him to stop playing. A sophomore at the University of Wisconsin-Eau Claire, Joseph is majoring in Music Education. Joseph’s ENF Legacy Award gives him the chance to pursue these interests. 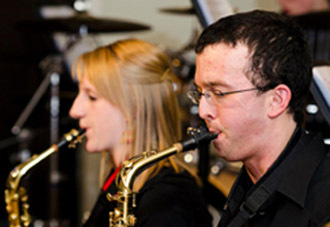 The University of Wisconsin-Eau Claire offers many opportunities, outside of the classroom, for Joseph to explore and expand his musical interests. Among them was the opportunity to play the second movement of Edvard Grieg’s Piano Concerto in A minor with the university orchestra. With that kind of talent, we know Joseph will be an inspiration to all those he teaches! Click here to listen to Joseph’s performance. The Elks National Foundation provides $3.59 million in college scholarships each year. For more information about our scholarship programs, and for ways Lodges can get involved with Elks scholars, visit www.elks.org/enf/scholars.